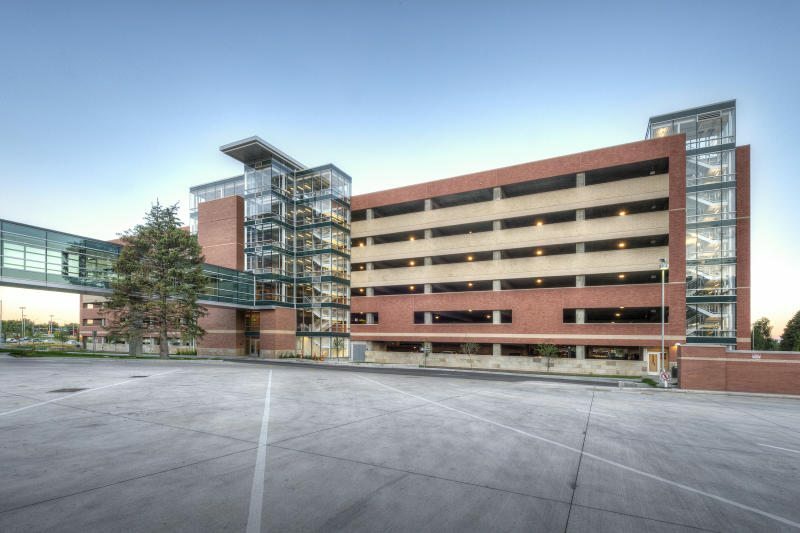 This new, high-capacity parking garage provides the UCH campus with additional parking, which is accessed by a pedestrian bridge, three elevators, and five staircases. Following a detailed analysis between precast and cast-in-place (CIP) garages, UCH choose CIP (post-tensioned) for durability, better lighting, and lower maintenance. 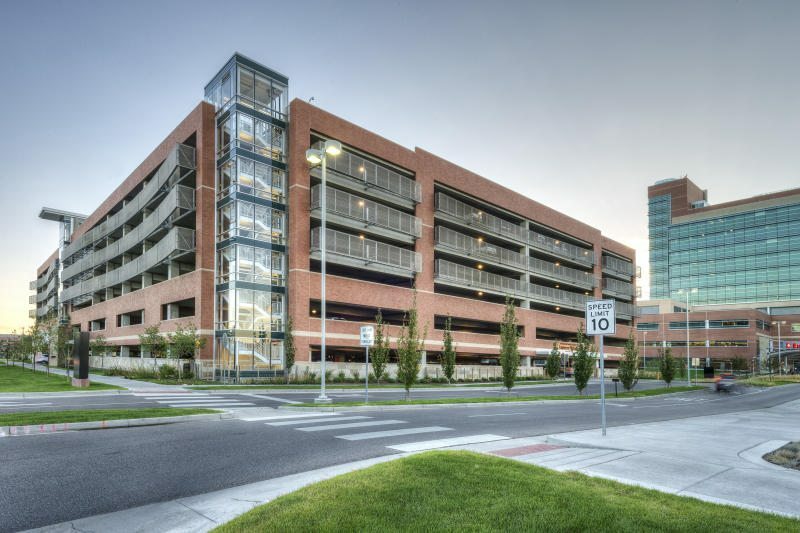 Key features of the garage are enclosed stairs to enhance user comfort and minimize maintenance, LED lighting with motion sensors, security cameras, blue phone stations, and electric vehicle-charging stations. 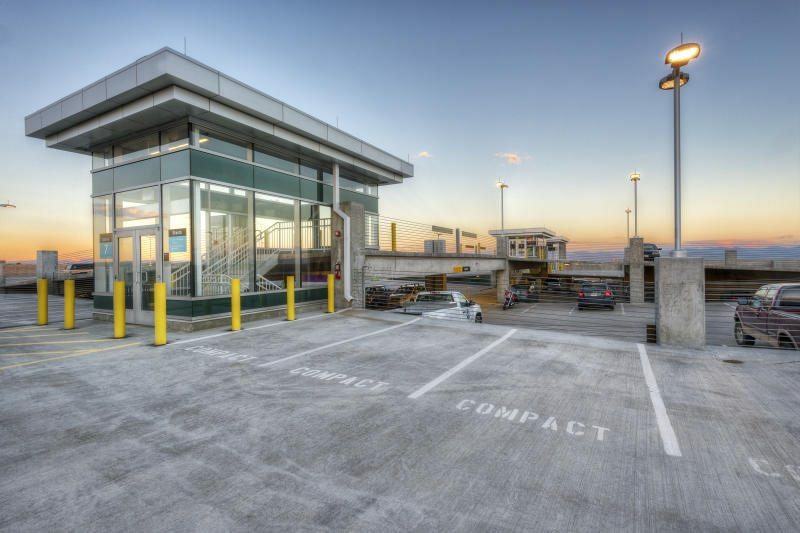 There are three staircases outboard of the parking area that are enclosed by a curtain wall and metal roofing system, and two interior staircases that connect the interior ramps through the top of the building. The top level of these stair systems are also enclosed with storefront and metal roofing systems. 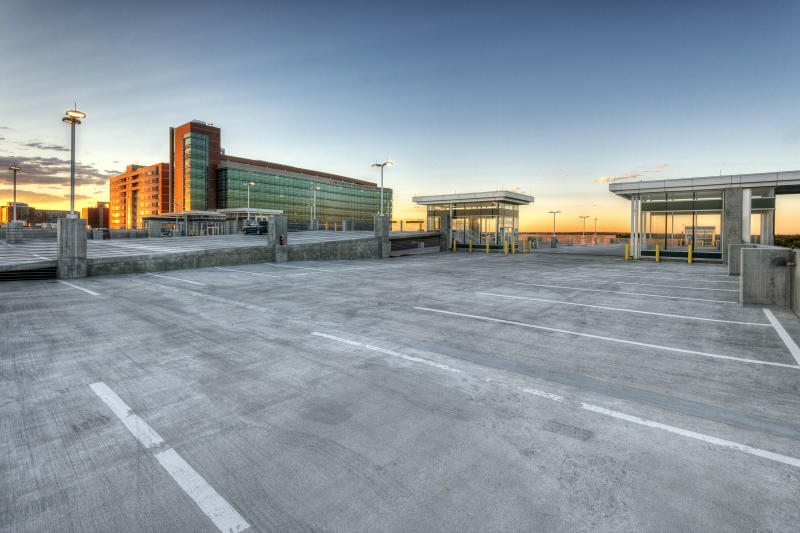 The parking garage’s access is limited by a card reader and parking control gate systems. Once inside the parking garage, activity is monitored by a security camera system monitored by the hospital security staff. We’re proud to be named among the 2017 Top 100 Workplaces by The Denver Post and among Colorado’s top family-owned businesses by ColoradoBiz Magazine. Haselden celebrates a strong reputation, impeccable safety record and a steadfast commitment to construction excellence and environmental protection. We invite you to learn more about our vision, purpose and values -- and to review the latest opportunities to be A Great Builder at Haselden. We’re proud to be named among the 2017 Top 100 Workplaces by The Denver Post and among Colorado’s top family-owned businesses by ColoradoBiz Magazine. Haselden celebrates a strong reputation, impeccable safety record and a steadfast commitment to construction excellence and environmental protection. We invite you to learn more about our vision, purpose and values — and to review the latest opportunities to be A Great Builder at Haselden. Since our founding in 1973, Haselden has emphasized a culture of workplace safety. We want to go home in better shape than we even arrived on the job. We invite you to learn more about our commitment to safety. We also write about construction safety and hope you'll review our news and views about it. Connect - and interact - with us! We enjoy sharing bright ideas and information about the construction industry and the people, places and things we care about. Could we help promote your big news? We're happy to consider your requests. Please contact Tracy Sorano, director of corporate marketing at tracysorano@haselden.com.